Do not be embarrassed that you know nothing about contemporary art. Understanding contemporary art and its market takes time and effort, just like learning Spanish, or opera, or anything else. You can’t be expected just to randomly know the difference between a Lichtenstein and aWarhol, or a $200 photo and a $200,000 photo. I don’t know a wide receiver from a tight end, and that’s OK, isn’t it? Instagram is also a great source for finding interesting art and discovering artists. Search art-related hashtags (although you may have to weed through some amateur work), or follow people in the art world to see what they're liking. As you're looking around, save any images that grab your attention, make you think, or give you an emotional reaction all in one place. Try not to let anything else dictate what images are saved - ignore any pesky thoughts that are concerned about what others may think of it, how it may rank in the public opinion of the art world, how much it's worth, or whether or not it could realistically fit in with your home or lifestyle. RIght now, we're just following that old addage, "I don't know art, but I know what I like." After spending a couple of months collecting images from the safety of your smartphone, take a look at everything you've gathered and figure out what your taste in art has turned out to be. Analyze the common threads. After a while, you’ll notice the works of art that appeal to you all have something in common. It may be the softness of color, the boldness of color, or a color itself. Perhaps you are attracted to blues, or grays, or a compositional element such as the consistent use of deep space, or geometrical forms. Maybe there is a subject matter that unites all the work you like, such as landscapes, or abstraction, still lives, or florals. You'll also want to look at the evolution of what images you're attracted to as your eye becomes more attuned. Are all the images you loved earlier still interesting to you, or do some now seem cliched? Are images you didn’t like before now more interesting? Pick a few of your absolute favorite pieces from your collection. Make a note of what attributes they have that appeal to you and keep a list of the characteristics of your taste that you've discovered in your search. Use this as a guideline for narrowing down the art market as you begin your life as an art buyer. Now that you're ready to enter the art world beyond the Internet, the best place to start is right in your local market. By now, every town in America has an art scene. Visit local galleries or museums. Meet the local curators and ask questions about the exhibiting artist, the work, the gallery. Art people love to talk! Attend a lecture or event organized by a local art organization or museum. Mingle with the crowd and hear their thoughts. Visit local artists studios and talk to artists about their techniques and agendas. See how the experience of viewing art changes from seeing it on a screen to seeing it person. Does this affect your tastes and interests at all? Also be sure to stay involved. If you like a gallery, always sign the guestbook! That way, you'll receive updates of openings and stay in-the-know about their news and events. Follow all of your local institutions, organizations, and art world figures on social media so you'll be a part of the conversation. 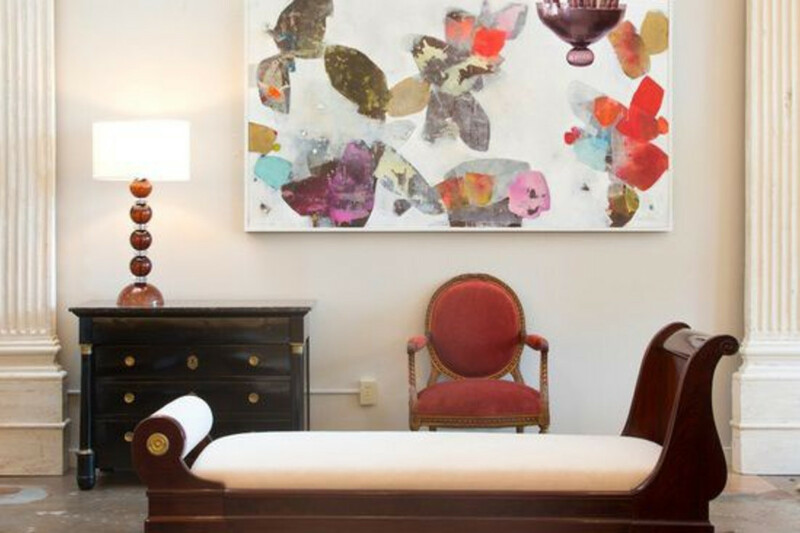 Taking these steps will lay the groundwork for making informed decisions when buying art.